Well here we are…..new year….new business…..new store…..new adventure…..
Dave and I are so excited to be open in our brand new gallery at the corner of Lake and Carlton. We know that there have been a lot of questions about what happened to the Kennedy family and that the community has been wondering where we have been for the past few months. We want everyone to know how much we appreciate your concern and that Dave and I are now up and running and are so excited to show you our fantastic new gallery. Those of you who know us personally will know that last year was a tough one for both of us. In July I lost my mother, Maria Klokkou, after a 12-year battle with cancer. My mother was not only a beautifully talented artist with an incredibly positive outlook on life…..she was also my mentor, my inspiration……and my best friend. Losing her so suddenly was devastating to both of us and left me on compassionate leave from my accounting job for several months. We moved from St. Catharines into her gallery/home in Niagara Falls where we now reside and proceeded to deal with daunting task of all that is involved with losing a parent. In December of the same year, Dave’s father made the difficult decision to close down Picture Frame Warehouse on Ontario Street after 35 years in business. It was a hard decision for both Terry and Virginia but health issues and the struggling economy led them to the realization that it was time to retire from the picture framing business. The closure of the store left many people wondering what the future would hold for the Kennedy family. 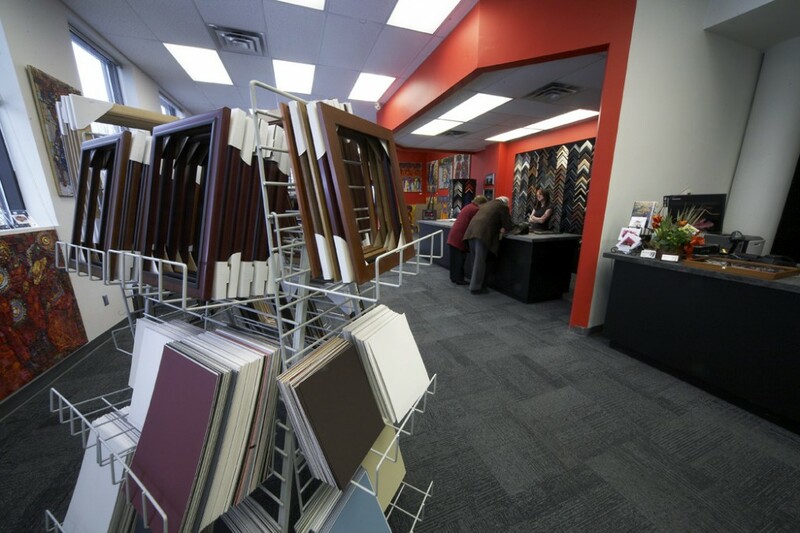 Dave has worked in the picture framing business with his family for over three decades and we found ourselves with some serious decisions to make about our future. With me still on compassionate leave and Dave now “unemployed” we sat down to discuss what we should do next…. What are we good at? What do we love to do? What are we known for? Hmmmm……Maybe we could go into the picture framing business??? Just the two of us, working together again….Eureka!!! So….onwards and upwards as they say…..
On February 1st, Dave and I launched a brand new picture framing business and opened up at the corner of Lake and Carlton. We feel great about the new space and cannot wait to share it with everyone. Dave’s parents are enjoying a peaceful retirement and are looking forward to a summer of golf and swimming. They have been so supportive with our new venture, as I know my Mum would be if she were here. We truly appreciate the continued support of our friends, family and community and cannot wait to welcome you to our new space. THANK YOU SO MUCH TO EVERYONE FOR YOUR PATIENCE AND UNDERSTANDING DURING OUR DIFFICULT TIMES. We could not have done any of this without your support; we are truly blessed to be a part of such a close community.